Multiple options for business carpet cleaning: (1) Hot water extraction process, (2) low moisture method, or (3) roto scrubbing. 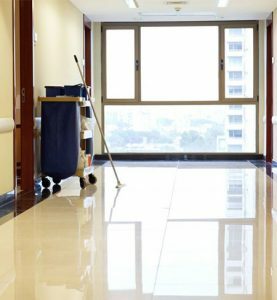 Business floor cleaning services include floor types such as VCT, linoleum, vinyl, hardwood, marble, granite, and more. 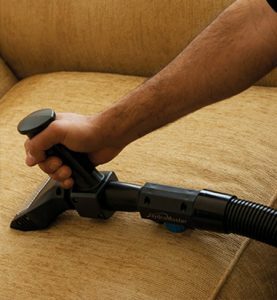 Business upholstery cleaning includes couches, chairs, seat cushions, cubicles, partitions, pews, and more. 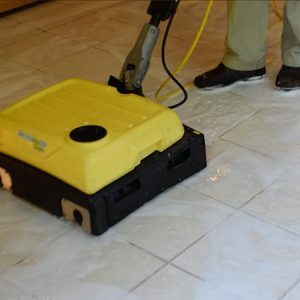 Our business tile & grout cleaning will leave you amazed with the results without any hassles. Varying methods include ozone, hydroxyl, thermal fogging to deodorizing. 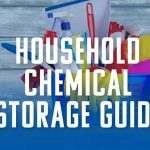 Use in fire situations, extreme pet odor, nicotine cleaning, and more. Examples: Customized room cleanings, Post construction cleanup, High area cleaning, Industrial cleaning, etc. 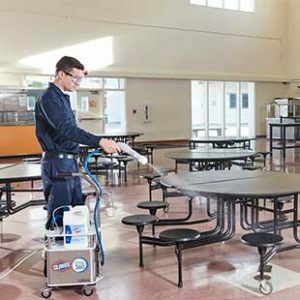 The Clorox® Total 360® System disinfects areas in need of superior disinfection. Combats cold, flu, norovirus, and other pathogens easily & quickly! 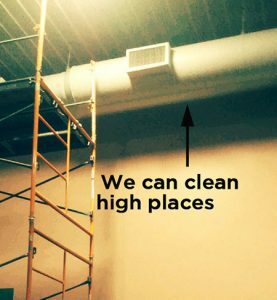 We hold a higher standard than most when it comes to our cleaning and communication. 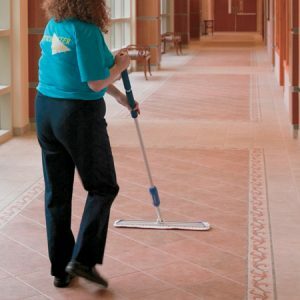 We are committed to making sure you are satisfied with your janitorial experience. 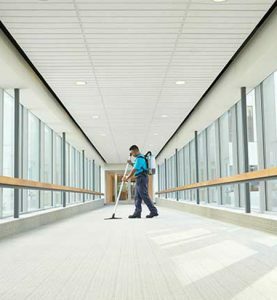 Our technicians are available for a one-time cleaning, scheduled cleanings, and janitorial services. Medical facilities deal with high foot traffic. 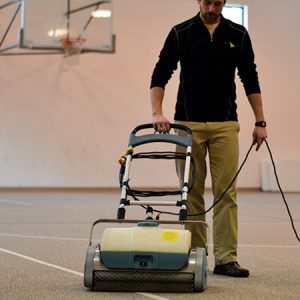 Our expert technicians will keep your flooring looking great and protected. By choosing ServiceMaster of Kalamazoo you can have a greener, cleaner, and healthier school, college, or university. 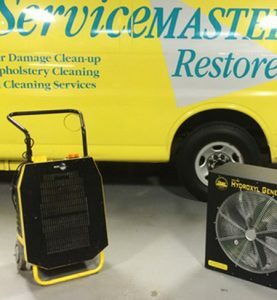 I just wanted to let you know how happy I am with the service provided by Servicemaster Clean, and with you in particular, in the carpet and floor cleaning project of my company. Your service from start to finish was very organized and professional along with very friendly that far exceeds all other agencies I have dealt with. Thank you so much for a job well done here at Total Plastics, Inc.
10/10 Carol Hatfield	Total Plastics, Inc. Prompt, professional, and effective team. 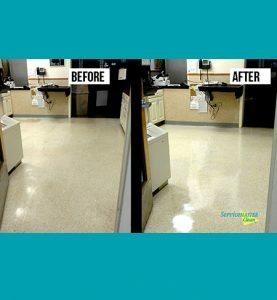 ServiceMaster does an excellent job of cleaning, the staff is professional and caring. Always happy with ServiceMaster!! Competitive pricing and good rapport with customers. I liked the tech you sent. He knows our building, does an excellent job, and is very courteous. Thorough, spot removal was excellent, professional communication and service contact. "I love how proactive Matt Falk is with our carpet cleaning schedule. He always prompts me when it is time to get them cleaned again, and more recently, has gotten us on an annual schedule. This is very much appreciated and really helps me out. My schedule is very busy and this is one thing I do not need to worry about. Once it is scheduled I can be sure that SM will show up to do the job they are scheduled to do. Matt always stops in after the cleaning to be sure it was done to our satisfaction and his." "Easy to schedule. No fuss from our side, the crew did everything. 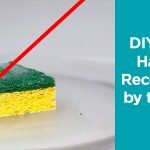 Really good cleaning results." "Matt was very friendly and professional. He addressed our needs and allowed us to negotiate everything we needed done, within a reasonable price range. Matt even stopped back in after the services were completed to see if we had any questions or concerns. I would call Service Masters again in a heartbeat!" "What a great job! 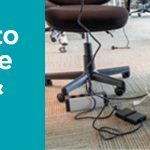 The facility carpets look 100% better, the service tech was good, the customer service and follow up visit was excellent!" Help us better serve our customers by sending us a message to inform us what kind of home cleaning service you are looking for. Thank you and happy cleaning!